So concludes today’s reading from “The Book of Boo”. 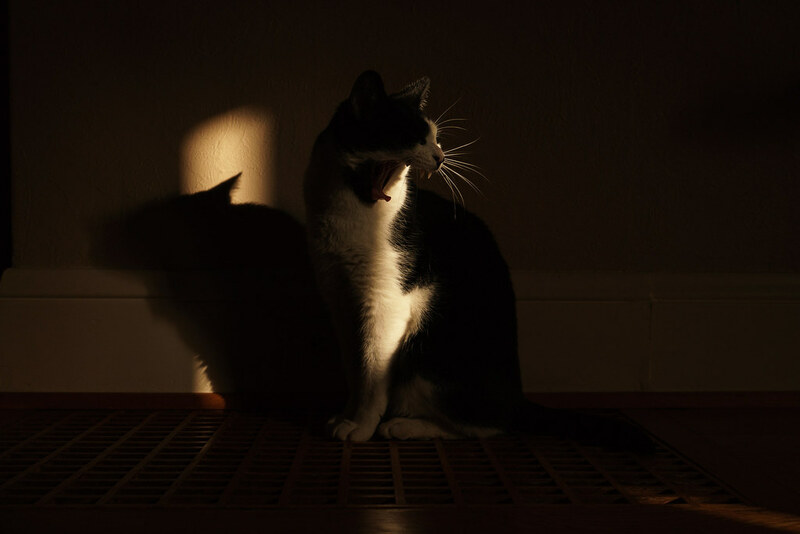 This entry was posted in Pets and tagged black-and-white cat, Boo, cat, hardwood, heating vent, shadow, yawning. Bookmark the permalink.